All projects begin with a site development program that typically includes streets, sidewalks, parking, buildings, and/or lot layouts. Often times the stormwater facility is an afterthought. These programs are influenced by site constraints including topography, existing vegetation, hydrology, and property boundary that will guide development. By including your storm facility as part of the site development program it will be better integrated into the development and increase design aesthetics. Locating storm facilities in plain sight to increase safety. They can be entry features instead of weed-ridden, fenced-off holes in the back of the development, that will likely not get maintained and prematurely fail due to lack of maintenance. Designing outfalls and overflow structures to blend in with the development and adds character to increase visual quality. To achieve the maximum value of your project it is important to include both a civil engineer and a landscape architect in concept development. 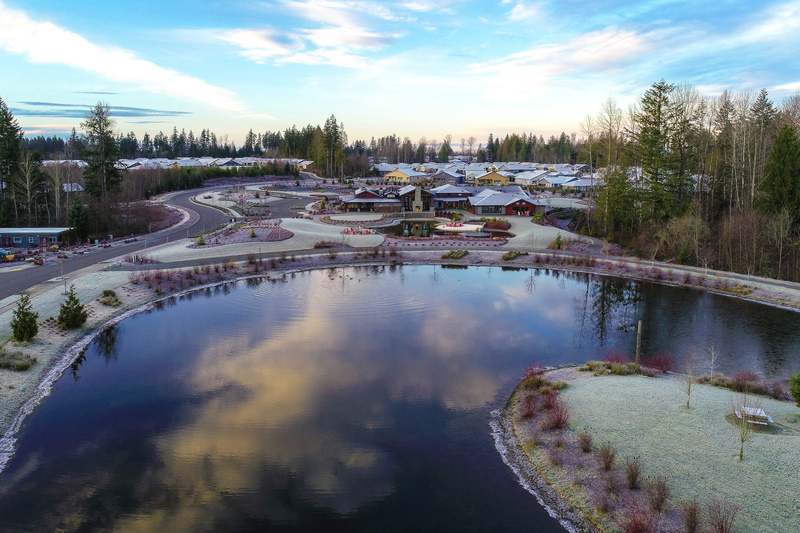 This fosters collaboration on the programming and design of your storm facilities instead of asking a Landscape Architect to use vegetation to hide an unsightly, pre-engineering, and walled-off pond that locked into the site layout. By working together, the design team ensures these facilities are integrated into the site landscape by following the natural forms dictated by site topography and hydrology, along with ensuring the storm facility will function properly. This approach allows developers to integrate storm facilities into the design without adding significant costs. 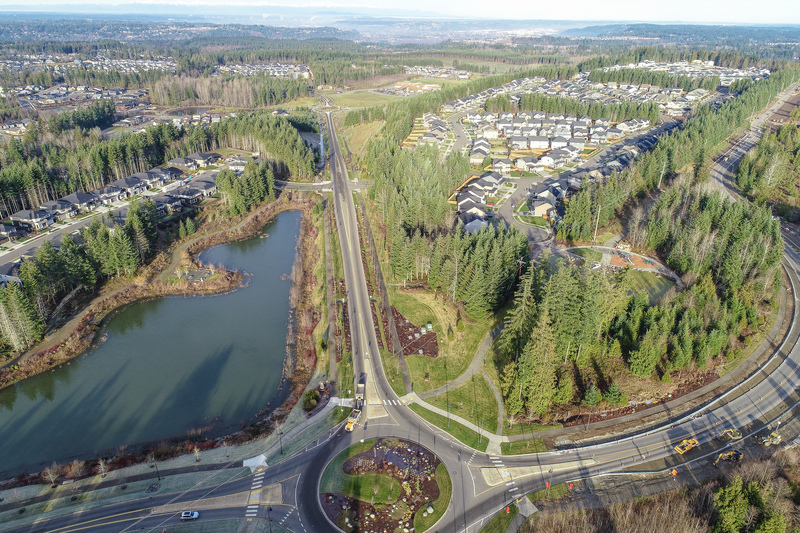 When form and function are both prioritized, stormwater treatment facilities will add value to your development by providing a higher level of visual quality, providing passive recreation opportunities, and may result in increased revenue. So do not hide your stormwater facility in the back of your project, integrate it into your project and maximize its value and you will benefit from the results.